Throughout the years, all gifts from each donor will be accumulated toward the appropriate Giving Recognition Circle. When accumulated gifts and pledges reach $5,000 or greater, donors will be recognized on the Donor Recognition Wall in the Pendery Center for the Arts with an inscribed brass nameplate. As accumulated gifts advance to higher circles, donor wall nameplates will be updated to reflect the circle achieved (number of stars). All donors at the Dedication Circle and above will be listed in the Annual Report. 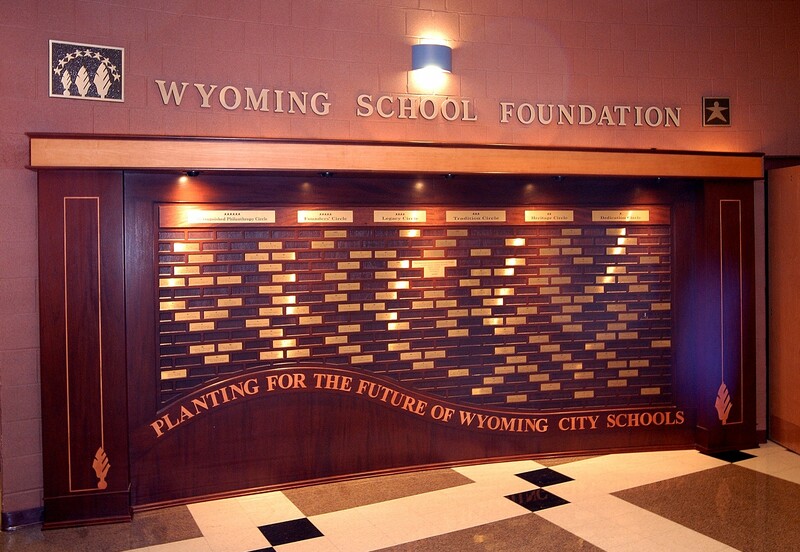 The Donor Recognition Wall is located in the Pendery Center for the Arts.